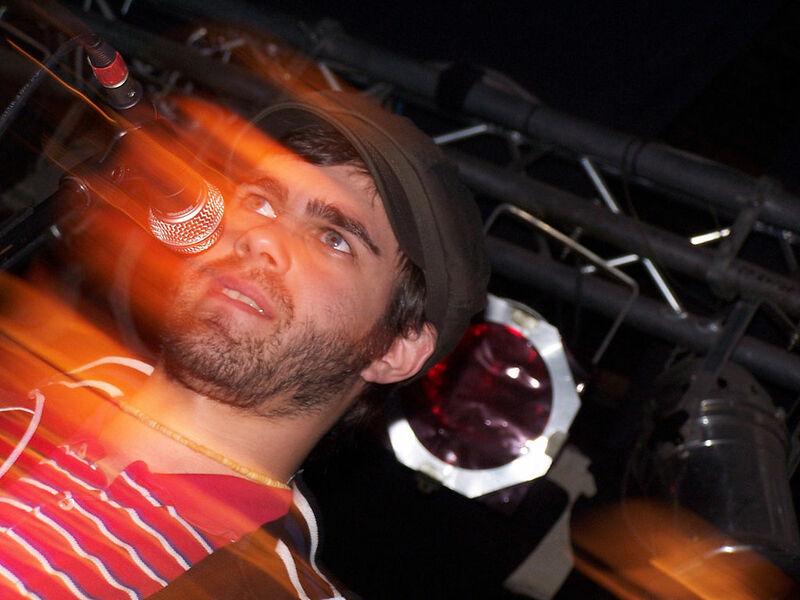 This is part 2 of my Tomas Kalnoky/Streetllight Manifesto retrospective. Read part 1 here. The band has said since that they weren’t quite in sync when they recorded Everything Goes Numb. You probably wouldn’t notice it unless you compared the album to the crystalline performances of the band’s later albums. That’s really the only mark I can come up with against the album: It’s the second five-star album by a Kalnoky band and remains perhaps Streetlight’s best album (and one of my favorite albums by any band). The entire set list is practically a highlight, but if I had to pinpoint a few specific favorites, it would have to be: the haunting finale, “The Big Sleep”; the “Keasbey Nights” sequel, “Point/Counterpoint”; and fearful ballad “A Better Place, a Better Time” (which my bro picked as Streetlight’s best song). 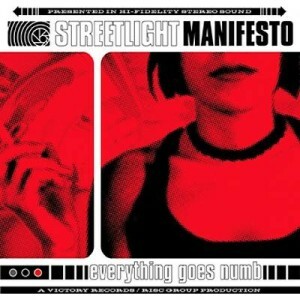 After the release of Everything Goes Numb, Streetlight began an intensive touring schedule, establishing a work ethic for performing that the band would continue for years to come. 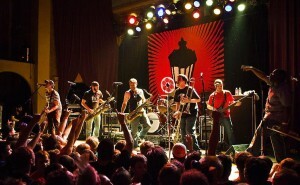 The album and band’s reputation soared: ska-punk enthusiasts were quick to rate it among the best ever in the genre. As much as the quality of their recordings, it was the band’s shows that built their reputation as one of the best bands in the world. Every member of the band had world-class talent, and many had intensive training in classical and/or jazz performance. Months passed, then years. Buzz built. 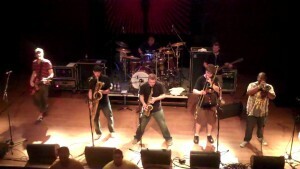 Streetlight continued to tour, and occasionally made promises of a new album, which could be conservatively described as “anticipated” by the band’s fans. But the band kept pushing the release timeframe of a new album backwards, especially after the advent of a new project for Streetlight. Kalnoky’s album with Catch 22 was close to ten years old. Kalnoky was adamant that the record label not re-release Keasbey Nights (probably with a couple bonus tracks) as a cash grab. He wanted to do something proper for fans, something to “reclaim” his work that now belonged to a band he had no connection to. 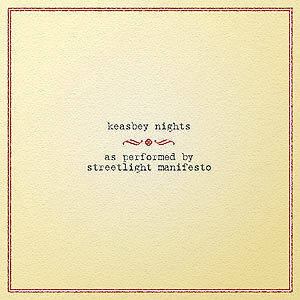 Kalnoky’s solution: Streetlight (who routinely performed songs off of Keasbey Nights in their sets) would re-record the album. It was a bizarre idea: One band completely covering another band’s album after the songwriter had quit the first to form the second? Fans were a bit skeptical, too: Catch 22’s Keasbey Nights remained a beloved album. Why did we need a new version of it? Only fueling the apprehension was the amount of time Streetlight devoted to recording the new Keasbey Nights. 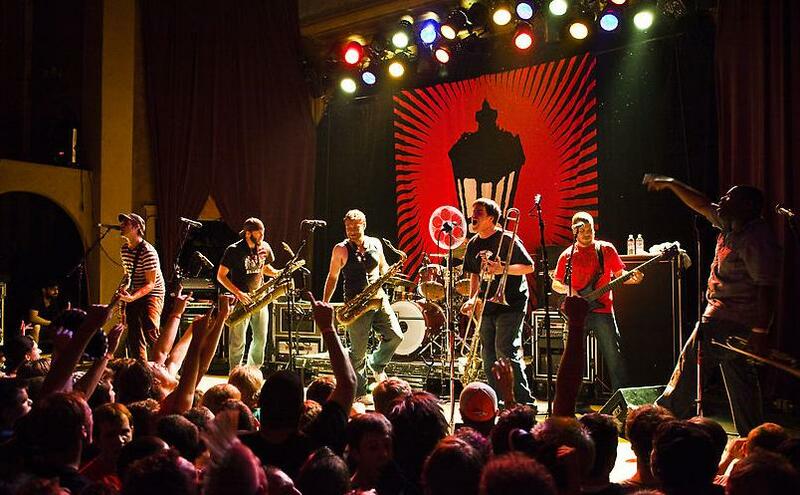 Three years after the release of Everything Goes Numb, Streetlight Manifesto had constantly delayed their new material, and now they were getting sidetracked by a project many deemed unnecessary. But the band and Kalnoky insisted they wanted to “do it right,” giving the re-recording the full attention it would a new album. At last, the new Keasbey Nights rolled out in 2006, and the reactions were mixed. The instrumental performances were vastly improved from the original, and the sound was much more full than the raw original. On the other hand, many argued that the more sophisticated sound felt out of place when juxtaposed with the decade-old compositions that skewed more “punk” than “ska”. Most agreed that the new versions failed to illuminate new depth or meaning in most of the songs (the expressive, solo-heavy “Kristina, She Don’t Know I Exist” excepted). But the biggest complaint about the resulting album was the same as the complaint that everyone had when the project was announced: It just seemed unnecessary. Fortunately, those fans wouldn’t have to wait too long to finally get their hands and ears on the new Streetlight album. 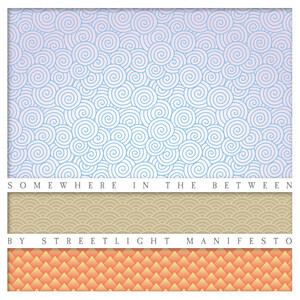 The next year, amid buzz that made even some mainstream musical outlets, Streetlight released Somewhere in the Between. The wait had been a painful four years, but to those who had stuck it out, the payoff was so, so worth it. Through years of touring and playing together, the band developed chemistry and refined its identity. Kalnoky ditched the mysticism and emphasis on narrative in favor of more philosophical lyrics. But the compositions were more sprawling and energetic than ever. The performances were crisp, the band’s sound tight and cohesive and razor-sharp. Somewhere in the Between is quite possibly Streetlight’s best-sounding album. Many of its songs are among the best Kalnoky ever wrote. But the damper on the album is its lyrics: Kalnoky’s theses are that a) there is no God, and you’d be a moron to believe there is, and b) humans are small and powerless in the grand scheme of things. It’s altogether too cynical. Much of the charm of Catch 22’s Keasbey Nights and Streetlight’s Everything Goes Numb was the sense that Kalnoky was on the edge of discovering important truths. Before, he had been hungry to solve existential mysteries (often tackling issues of death and afterlife), but wise enough to know this was no easy task. This time around, Kalnoky had more or less rejected these mysteries as unsolvable. His new attitude seems nihilistic: We live; we die; that’s that. What you gonna do about it? It doesn’t matter, because any struggle against it is a shout into the void. The joy, passion, and power of the music is a stark contrast to the attitude evident in Kalnoky’s lyrics. The joy, passion, and power of the music is a stark contrast to the attitude evident in Kalnoky’s lyrics. This is something that long bothered me about the album, until I finally conceded that the deep, ironclad arrangements endure much longer than the lyrics. Some of the moments on this album are truly breathtaking: The intro to “The Receiving End of It All” is a showcase of how in sync the band had become, every instrument rising and falling in unison, each hit and release perfect down to the millisecond. The album’s influences were also more diverse than ever: “The Blonde Lead the Blind” has hints of country call-and-response, while the opening vocal harmonies of “One Foot on the Gas, One Foot in the Grave” suggests Kalnoky listened to the dense 70s rock that punk rebelled against as he did punk. “Down, Down, Down to Mephisto’s Cafe,” one of the album’s highlights, has about five layers and shifts musical gears frequently and effortlessly. It’s the kind of musical sophistication that would have seemed impossible for Catch 22-era Kalnoky, as great as Keasbey Nights is. It adds up to making Somewhere in the Between a true classic despite its flaws, every bit the equal of Everything Goes Numb.